A newly released briefing by Professor Ann Markusen of the University of Minnesota Hubert H. Humphrey Institute of Public Affairs highlights the importance and influence of a creative arts community serves as a tool to develop a region’s broader economic growth. Despite heightened interest in fostering artists/designers as innovators and entrepreneurs, most cities have found that traditional policies and services don’t work for artists. … Artists are many times more likely to be self-employed than are scientists and engineers. Some 48 percent of artists reported in the 2000 Census long form that they are self-employed. … Overwhelmingly, surveys of artists underscore that they need and want to develop business skills. Many organizations—some nonprofit, some linked to higher educational institutions, some for-profit—offer artist-tailored entrepreneurial training. The work by Professor Markusen reinforces many of the themes discussed in the recent NKU Chase Law + Informatics Institute program: Success Strategies for the Professional Artist in the Digital Age. That program helped artists and their attorneys learn to navigate self-promotion, online contracting, sophisticated financing, and a host of challenges that pull the artist away from the creative process and into the fast-paced world of digital commerce. A webcast is available of the program. “With social media gaining in popularity, more people are becoming content creators, and there is great opportunity to share creative works, but many are now becoming aware that there is real value to maintain some control over what is shared,” commented Terry Hart, director of legal policy, Copyright Alliance. But the creative artist panelist had some words of caution. Dayton School of Law professor Dennis Greene reminded audience members that “the devil is in the details.” Jennifer Kreder noted “when art is created in more traditional visual medium and then digitized several issues will come up” to which Stephen Gillen explained that “there is no ‘one size fits all answer'” for how best to contract for rights. The Kauffman Foundation report provides a strong reminder of what cities can do to improve the likely success of artists and entrepreneurs in their communities. These are partnerships well worth promoting. Success Strategies for the Professional Artist in the Digital Age was presented by the NKU Chase Law + Informatics Institute and sponsored by the ABA Business Section Cyberspace Law Committee, Copyright Alliance, ArtWorks SpringBoard, Kentucky Arts Council, and Frost Brown Todd, this program featured expert attorneys and filmmakers who discussed a range of business and legal practices. The NKU Chase Law + Informatics Institute, the Center for Applied Informatics, and our event sponsors look forward to the 2013 NKU Security Symposium tomorrow, Friday, October 18, 2013. The program is free, but you must register. This is your last opportunity. The Legal Issues in Privacy and Security (Legal Track) will be in Development B of the NKU METS Center in Erlanger, KY.
Scot Ganow, attorney, Faruki Ireland & Cox P.L.L. Click here for the CLE Materials for the maximum of 4.0 general CLE credits approved by KY, OH & IN (new lawyer credits in IN). For your convenience we have included directions below. I-71/75 South From the South: I-71/75 North … to I-275 West. 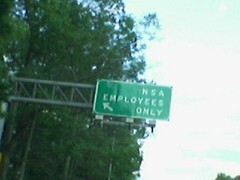 Take first exit (Exit No. 2 – Mineola Pike). Left turn onto Mineola Pike crossing over I-275. Right turn at second light onto Olympic Blvd. Follow Olympic Blvd. into CIRCLEPORT Business Park past hotels to The METS Center. Parking is FREE in The METS Center’s large lot. I-74 to I-275 South into Kentucky. Stay on I-275, which curves East in Kentucky and go about 22 miles all the way past the Greater Cincinnati Airport until you get to Exit No. 2 – Mineola Pike. Right turn onto Mineola Pike. Then right turn at second light onto Olympic Blvd. Follow Olympic Blvd. into CIRCLEPORT Business Park past hotels to The METS Center. Parking is FREE in The METS Center’s large lot. Special thanks to the sponsors of the legal track: CincyIP and Frost Brown Todd.